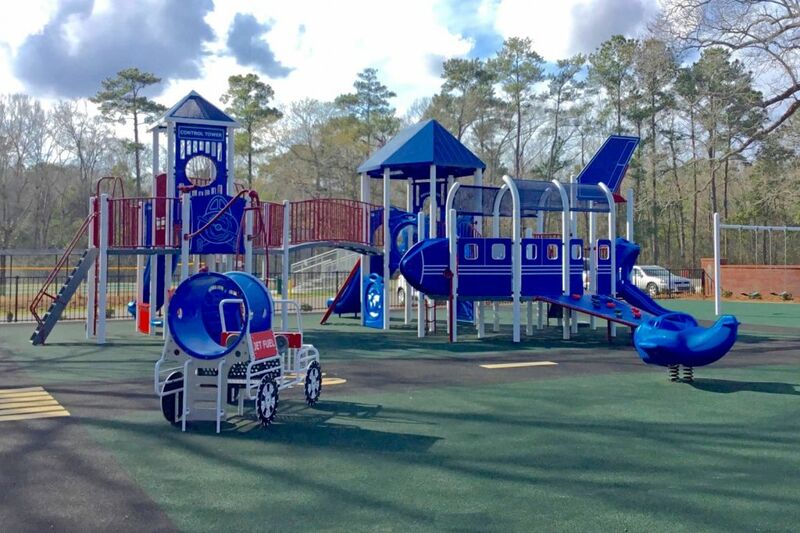 Thanks to donations, time and hard work from Airbus, Mobile Airport Authority, City of Mobile and Friends of Doyle Park, there is a new aviation-themed playground in Mobile, Alabama. J.A. Dawson designers worked with GameTime’s custom play division, PlayWorx, to develop the project. 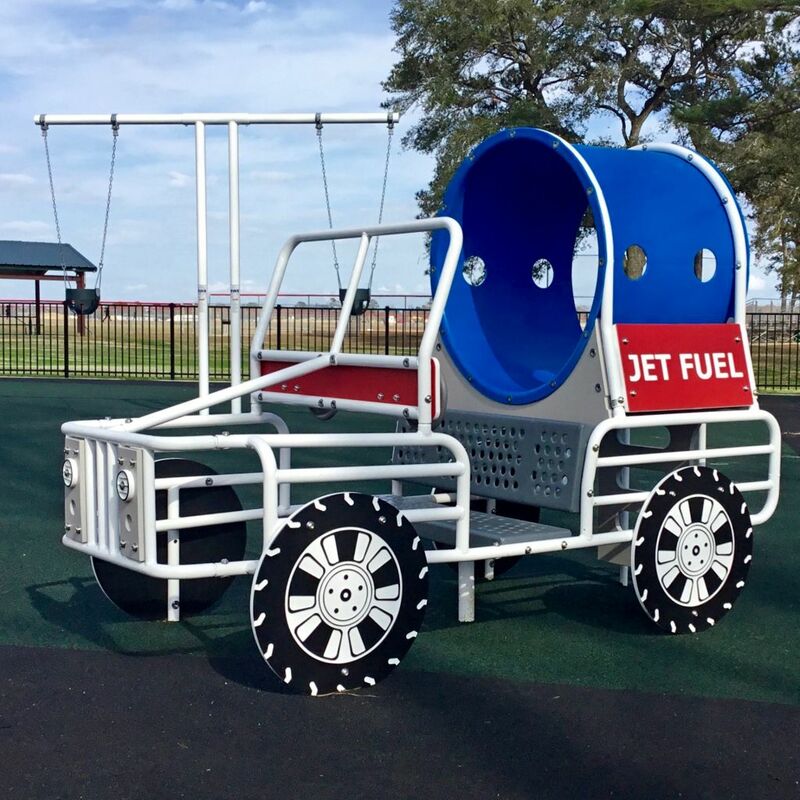 There is a fuel truck climber with working steering wheels and a crawl tube in back that’s perfect for younger children, as well as two toddler swings. Custom routed panels depict the features of an airplane, like the tail, wings and windows. There is an arrival gate at the top of a climber and a departures gate at the top of a slide. These little details make the playground a fun place for children to imagine they are taking a trip anywhere in the world, or welcoming friends and family home from a long journey. 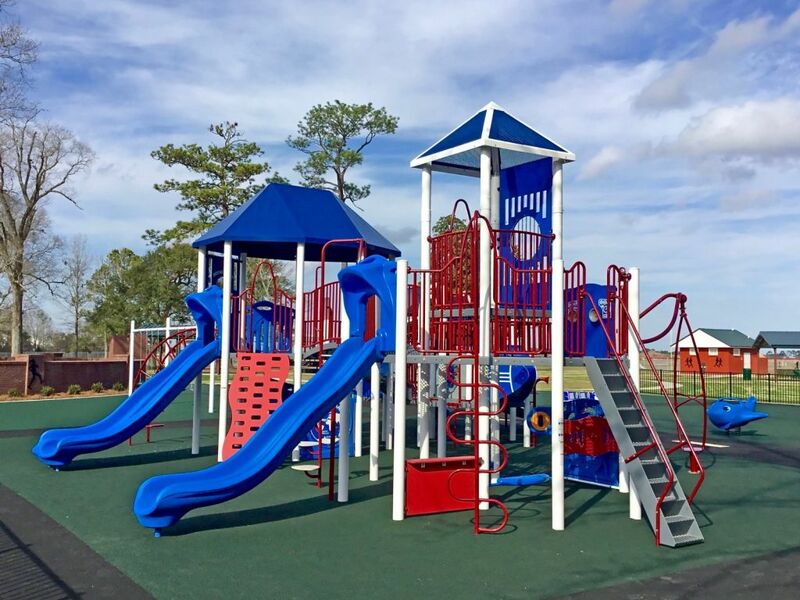 There are plenty of slides and climbers throughout the playground, and varying heights and degrees of challenge. This is important, because children play in different ways, and as they grow older, their style of play changes. 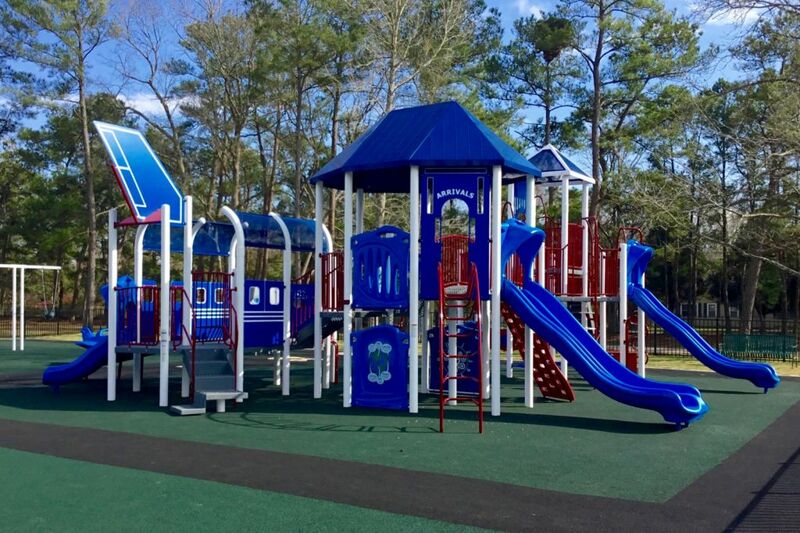 It’s important for a playground to address the developmental needs of children as they change over time. The entire play area features a poured rubber surface for soft landings with fun runway graphics to help childrens' imaginations take off as they play throughout the playground.